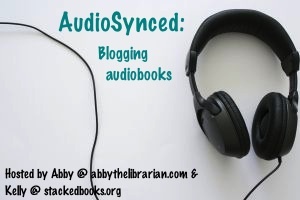 Abby the Librarian: AudioSynced is coming up! Reminder: November's AudioSynced Roundup will be posted here on Saturday! Did you get some listening in during your Thanksgiving travel this weekend or sometime this month? Review those audiobooks and send me a link so I can include it! Leave a link in comments or email to abbylibrarian@gmail.com.